Colonial Charters hosted the Carolinas' Open in 1992, the Hurricane Professional Golf Tour and The Myrtle Beach Open in 1994. Also, Colonial Charters is annually the site for the Carolinas' PGA Senior Professional Championship, the NCAA "BIG SOUTH" Conference Championship and the Myrtle Beach Invitational. 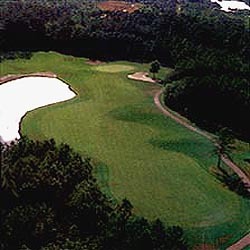 This course features one of the "Dream Holes" as voted each year by Myrtle Beach golf enthusiasts (#18) and has a reputation for being very popular for Junior play during the summer where they offer special rates to juniors.